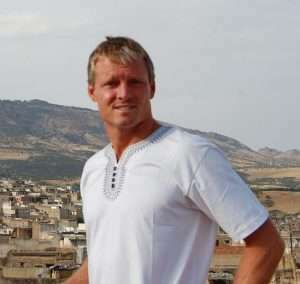 Hello, my name is Edwin and I want to introduce you to our selection of the world’s best handmade Persian rugs. Each carpet is created with special care using the best quality natural dyes, silk and wool products. Our selection of city rugs are manufactured in the traditional centers of production – Tabriz, Nain, Qom and Isfahan. Additionally, we offer a diverse selection of tribal rugs which are manufactured in remote rural communities. Therefore, when you procure one of our Persian rugs you can rest assured it carries the hallmark of the world’s best carpets. The unique high quality know count of Persian rugs can be observed on the reverse side. In addition, to high quality craftsmanship the artistic designs also adhere to ancient tradition. Common designs displayed on our rugs include the classic medallion, tree designs and repetitive. Additionally, our customers appreciate the tendrils, arabesque, lotus and floral designs that illuminate the worlds best rugs. Our artisans also use the “Turkish knots” to ensure the longevity of the carpet. Therefore, our antique Persian rugs hold their quality very well through the years. As such, you can enjoy the clearly apparent designs in the wool and silk as if it was recently created. Mass production of high quality handmade Persian rugs was initially introduced by the Safavid Dynasty in the 16th century. However, rugs made from animal skin have been in use for thousands of years and they certainly are not exclusive to ancient Persia. The question is when did they start to weave high quality knotted pile carpets? The practical implications are enormous because the animal would not have to be killed to harvest the wool. As a result, wool would become a valuable resource that could be harvested annually. Unfortunately, history is ambiguous as to who should be credited with inventing Persian rugs. Although we know that ancient Greeks and Romans used carpets or tapestry, the organic material does not preserve well in that type of climate. However, in much colder climates such as in the high altitude of the Altai Mountains organic material such as wool can be preserved. Indeed, in the 1920’s the worlds oldest Persian rug was discovered in an ancient tomb. The Pazyryk Carpet was well preserved thanks to the permafrost that surrounding the tomb it was buried in. As a result, the designs woven into the carpet easy to identify. The figures that would support Persian origin include a frieze of horsemen and floral designs that are identified with ancient Persia. However, the fallow deer that are also included in the carpet are clearly not of Persian origin. Additionally, the wool in the Pazyryk Carpet matches the wool in nearby tombs that was found on sheepskin rugs – these hides are clearly local. Furthermore, the organic substances found in the dyes used to color the wool clearly did not originate in Persia or Armenia. Instead they seem to be of Baltic or Polish origin. These types of dyes, would have much more readily available to the Eurasian nomadic peoples than the ancient Persians. Thanks to this forensic research we can conclude that the Pazyryk carpet did not originate in Persia. Instead, it seems much more likely that it was woven by the local nomadic peoples. Central Asia was well connected along the ancient silk road. This helps explain how the nomadic carpet weavers would have come in contact with Persian images such as the horsemen and floral designs. 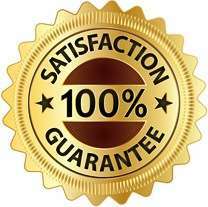 The authenticity of our Persian rugs for sale is paramount to establishing a trusting relationship with our customers. As a result, I meticulously insert as much information as possible into each product listing. This includes the rug composition such as pure silk, wool or if it is a hybrid mixture of them both. If it is a hybrid mixture of wool and silk, then I will carefully document the wool/silk ratio as closely as possible. Additionally, I will document the geographical origin of the rug. This includes the city or tribal area where it was manufactured and and also where the materials originated. Modern day Persia (Iran) is the place of origin for all of our production materials and Persian rugs for sale. 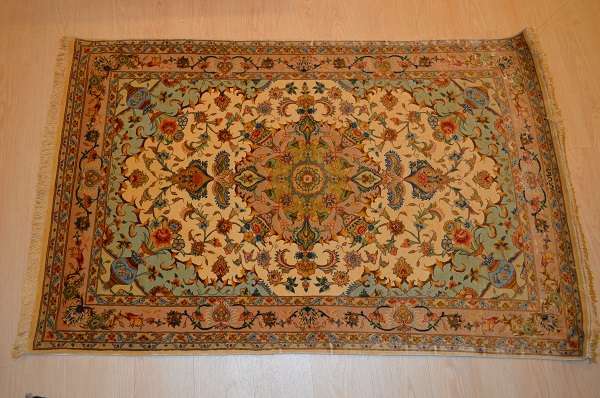 However, many Persian rugs for sale on other websites were not manufactured in present day Iran. Instead, they are quite commonly manufactured in Pakistan or India. Also, the wool that is used is from New Zealand. 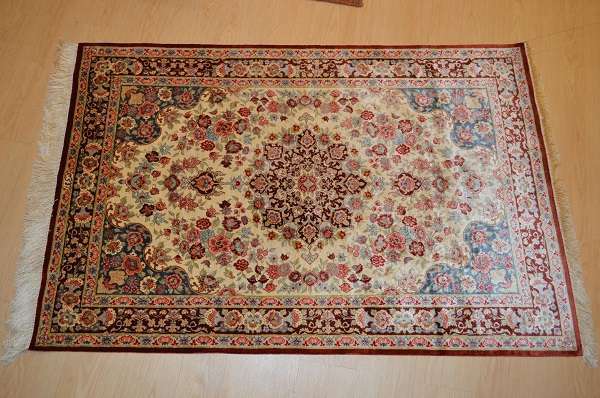 Indeed, these rugs listed for sale by our competitors are not authentic Persian rugs. They justify calling them Persian rugs because the boundaries of ancient Persia used to cover large sections of India and Pakistan. Therefore, when you purchase one of our authentic Persian rugs you can be 100% assured of it’s Iranian origins. That means the rug was manufactured in present day Iran with materials that were sourced within modern day Persia. The two general classifications of our Persian rugs are “city” rugs and “tribal” rugs. These two distinctions indicate that the particular rug will have certain unique attributes. For example, the city rugs are much finer in nature and are used mainly for aesthetic purposes. However, tribal rugs are aesthetically pleasing and are also highly regarded for their durability. These distinctions imply the base material such as silk or wool, the design motif and also the craftsmanship e.g. city rugs have much higher knot count. Additionally, subtle distinctions such as the location of artisan’s signature may also be influenced by the rug’s place of origin. Qom is the capital city of Qom Province and it is located about 100 kilometers south of Tehran. Although Qom has only been a manufacturing center of Persian rugs for about 100 years, their rugs have the best reputation for high quality. Indeed, Persian rugs that originate in Qom are commonly made of 100% fine silk and they are considered to be of investment quality. Popular design themes include medallions and the tree of life. As a result of the fine designs embedded in the shiny silk, these rugs are commonly hung on walls as decorations. However, this is not a requirement and it is a matter of personal preference. 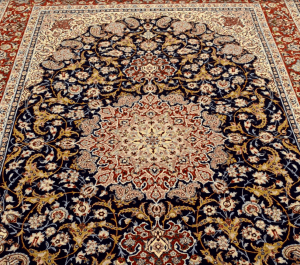 Qom Persian Rugs are well noted for their high quality silk and intricate designs. Tabriz is located in NW Iran and it is the capital city of East Azerbaijan Province. This is the original manufacturing center of Persian carpets. As a result, when you purchase a Persian rug manufactured in Tabriz, you can be assured or the highest quality and also traditional craftsmanship. The mountainous geography and temperate climate make Tabriz a popular tourist mecca. However, it was also voted the “World Carpet Weaving City” by the World Crafts Council in 2015. Tabriz manufacturing centers also offer the most diverse array of designs including Harati/Mahi, pictorial, to figural and also 3-d designs. Tabriz Persian Rugs are world renown for high quality and adherence to traditional craftsmanship. Isfahan is the 3rd largest city in modern day Persia and it is the capital of Isfahan Province. The city of Isfahan flourished immensely during the Safavid Dynasty in the 16th and 17th centuries. Isfahan Persian rugs are noted for containing high quality wool, high knot count and also using a subdued color palate. Additionally, popular Isfahan design themes imbue the rugs with the architectural designs from the city’s ancient architecture. The most famous design based on Isfahan architecture is the central circular medallion based on the Isfahan’s world famous mosque. Additional designs include Shah Abbas, Vase, Tree of Life and pictorial. Beautiful central circular medallion design of a Isfahan Persian rug based on the city’s famous mosque. Nain is also located in the Iranian province of Isfahan and it is the capital of Nain county. 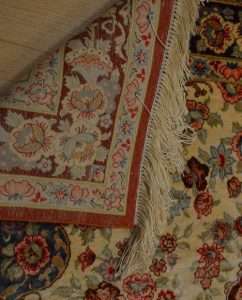 Additionally, Nain is located about 130 kilometers east of Isfahan and Persian rugs manufactured there have some matching qualities. However, beginning in about the 1930s Nain rugs began to develop their own unique distinctions. For example, Nain Persian rugs are noted for their high knot count which ranges between 300-700 per square inch. However, Nain carpets are also graded by their thread count in the fringe which is known by the Farsi term “LAA”. In Nain, a LAA count of 9 is considered to be of moderate quality, however this would be considered very good in other manufacturing centers. As a result, buyers have come to expect a high quality Nain rug to have a LAA count of 4. Nain rugs are also noted for their high quality soft wool with the pile cut very short. Silk is typically used for highlighting the design elements.